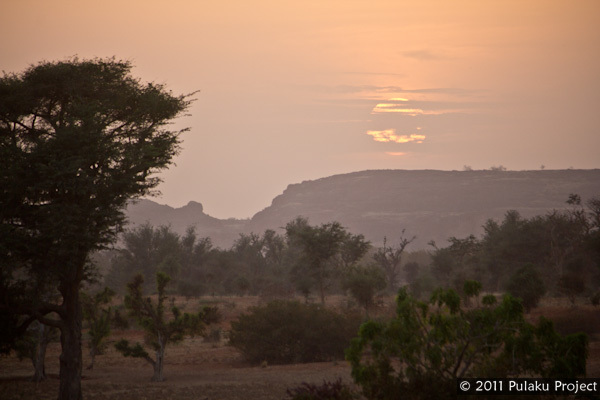 Entering southern Mali, we passed through the beautiful area known as Dogon Country. 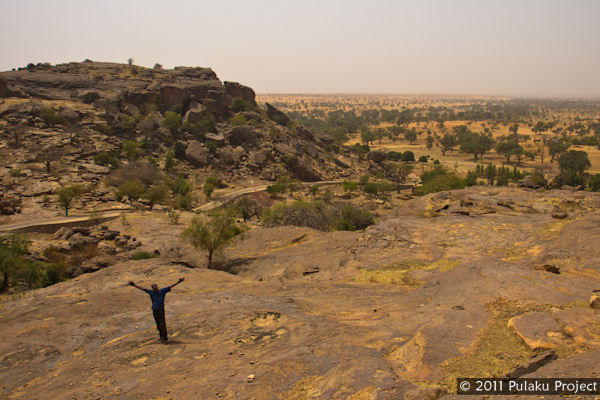 While tourists flock here to hike in the striking scenery and discover the culture of the Dogon people, the area is also home to a large Fulani population. 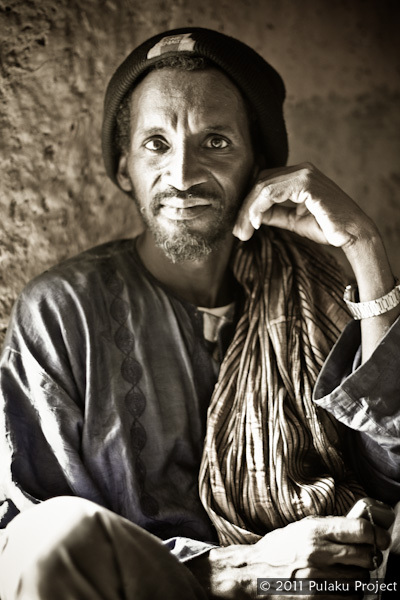 Living outside the Dogon villages, the Fulani don’t interact much with tourists, preferring to keep to themselves, herding their cattle and those of the Dogons. 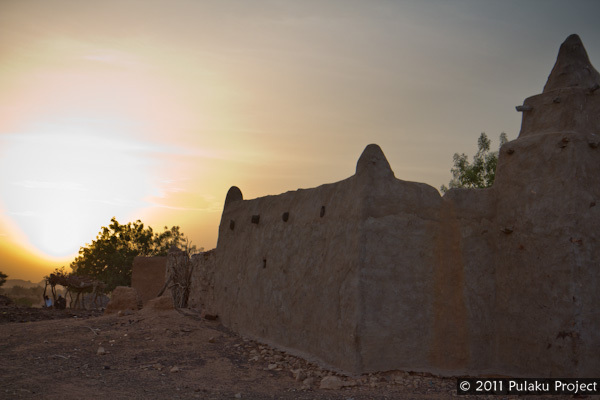 We spent a few days in Bôkôlô, a small Fulani village 15km from the large town of Bandiagara. 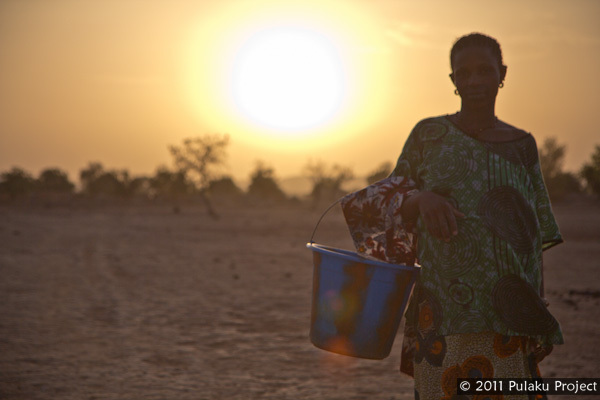 Water shortages are endemic throughout the Sahel, and we’ve heard many stories about the water problems of Fulani communities. In a way, water shortages are a way of life in the region. 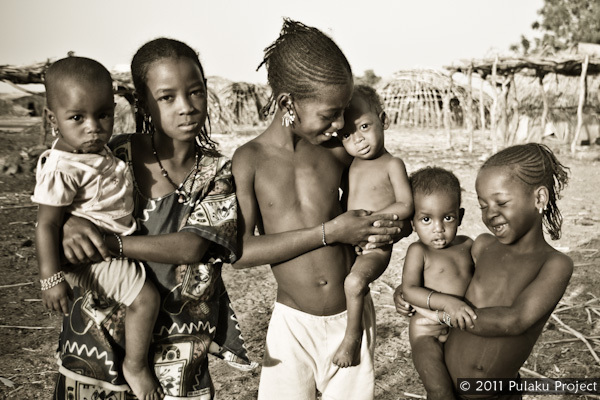 The Sahel sees very little rainfall, and for thousands of years people have dug wells and scavenged for water. However, it’s becoming ever more difficult to quench the thirst of a growing population. 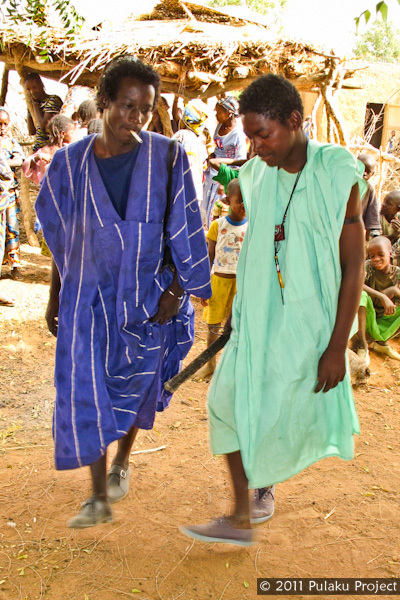 Bôkôlô is exemplary of this problem, as several hundred residents depend on water from a single well. 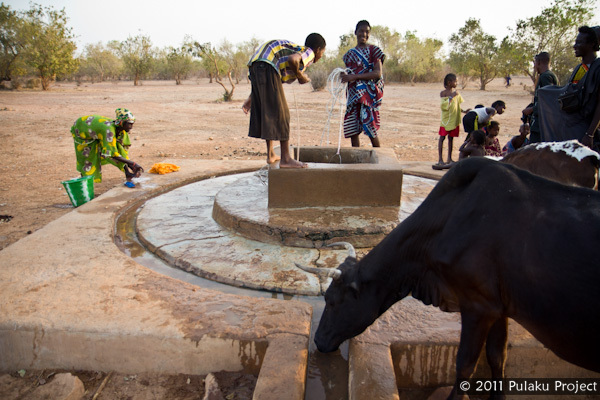 The well provides drinking water for the village and the cattle, as well water for laundry and bathing. It’s about half a kilometer’s walk from the village to the well. 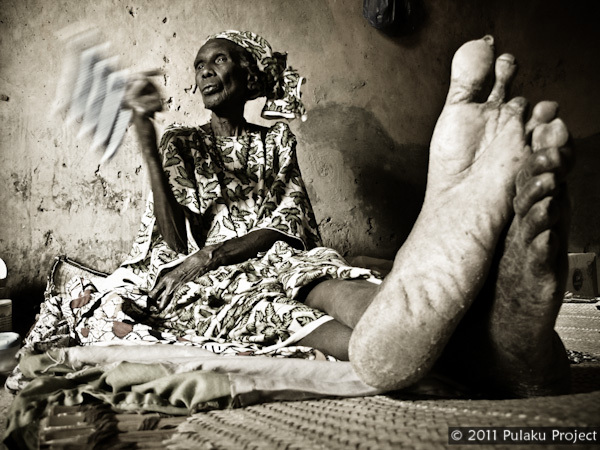 This elder explained to us that water has always been a problem in the village, and the single well doesn’t suffice. The current well was built by a foreign NGO. Though community leaders have requested that the government build another water source, they’ve received no response. 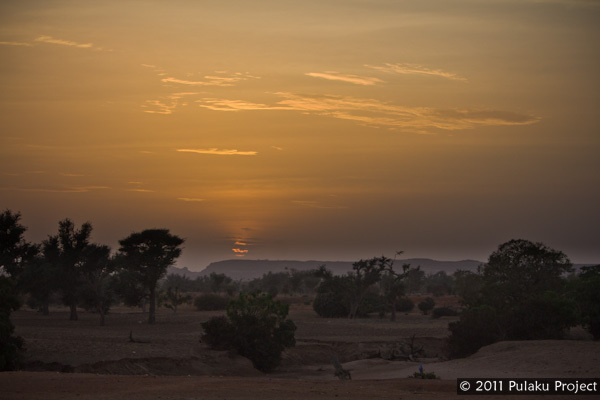 While Bôkôlô certainly isn’t the only community facing this challenge, their plight is representative of the larger issues of desertification and resource scarcity that challenge so many Fulani communities. On the left is a hollow calabash gourd used as a drum. 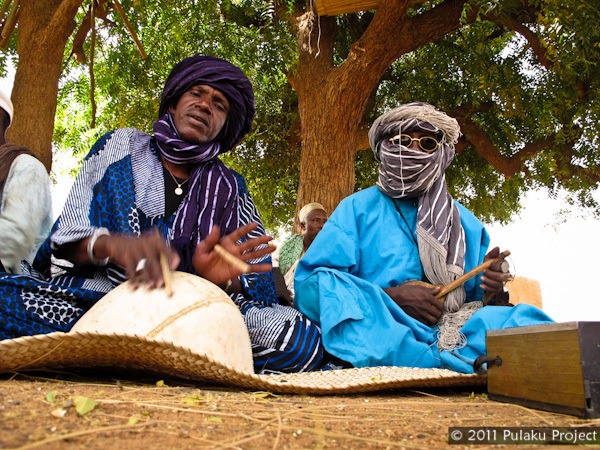 The one-stringed guitar on the right is called a “djouroukelerou”. 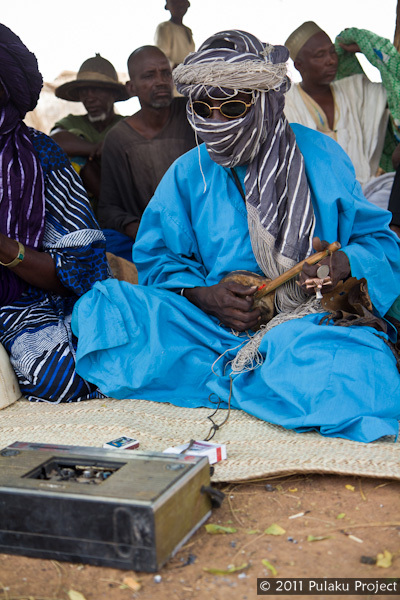 This guitarist wired a home-made pickup directly into his tape player, producing a distinctive electric tone. 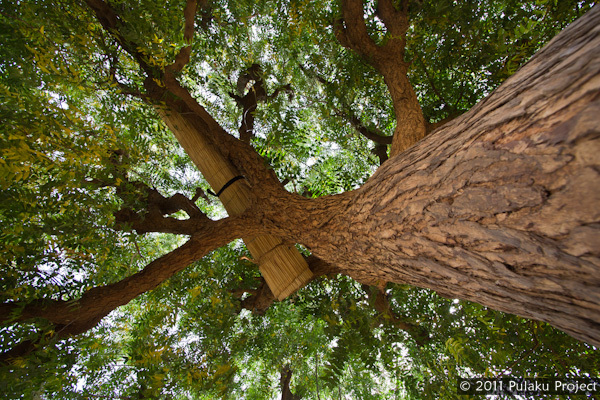 We spent hours gathered under this neem tree, shaded from the scorching sun. 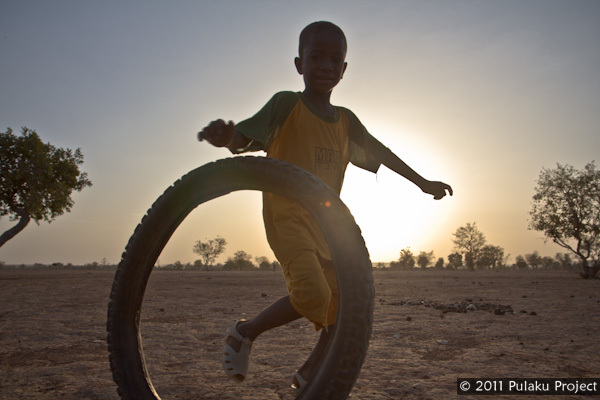 Roll-the-tire is a favorite game for the youngsters. Regarding the water… the question that was begging an understanding was, should the population of this group be growing somewhere where they cannot find more water themselves in a sustainable way?